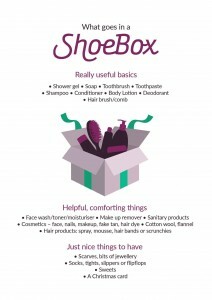 We are collecting donations for Project Shoebox Oxford at the Clinic until 14th December. If you can help please drop by with any unwanted toiletries/goods. They would be very much appreciated by women & children who will be spending Christmas in refuges this year as an escape from domestic abuse at home. 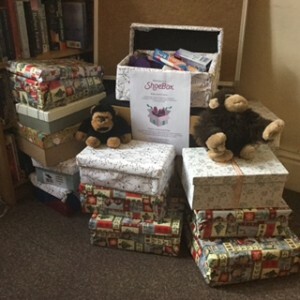 So far we have collected over 20 boxes which is fantastic but we would love to donate more so please keep your shoeboxes coming.